Loren Rosenberg Lightman is a partner of Hill Wallack LLP in the Princeton, N.J. office. 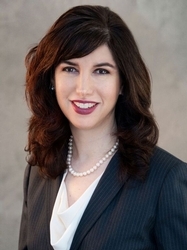 She is a member of the firm's Community Association Law practice group. Ms. Lightman has been practicing law for over 20 years and concentrates her practice in the representation of community associations. She assists her clients in all aspects of community association law including, but not limited to document interpretation, rules and regulations and also provides advice relative to municipal services and contract and collection matters. Ms. Lightman is licensed to practice in New Jersey (1994), New York (1995) and the District of Columbia (1997). She received her J.D. from Benjamin N. Cardozo School of Law and her B.S. from Cornell University. Webinar, "It Can Happen To You: Safeguarding Your Assets and Detecting Fraud in Your Association."